It’s your lucky day! We’ve got piping-hot Irish Creamy Cauliflower Soup on the menu! 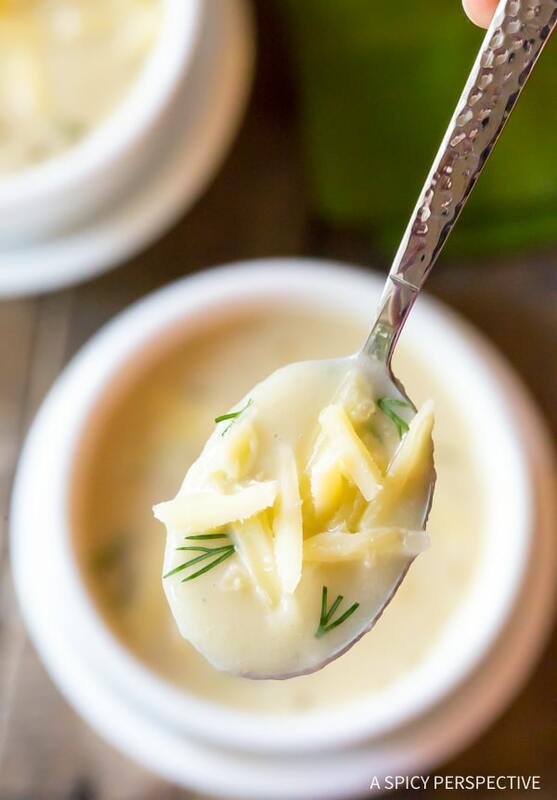 Just look at this silky-smooth cup of soup made with cauliflower, leeks, potatoes, and sharp Irish cheese. You want to dive right in, right? I’ve always been impressed with the things the Irish can do with the most humble of vegetables. Today’s Irish Creamy Cauliflower Soup is a perfect example of Irish culinary ingenuity. It’s rustic, yet rich and elegant, with an underlying tang of aged cheese. To make Irish Creamy Cauliflower Soup, simply sauté onions and leeks in butter. Then add cauliflower and one russet potato, and boil in broth. Once the cauliflower and potato are soft, puree the soup and stir in shredded cheese. 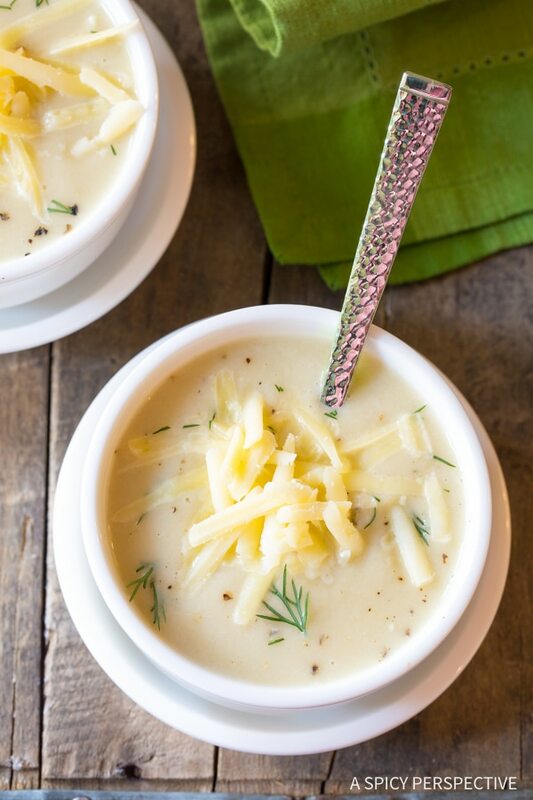 The potato acts as the glue that binds the cauliflower and cheese together into a creamy soup that tastes of Ireland! 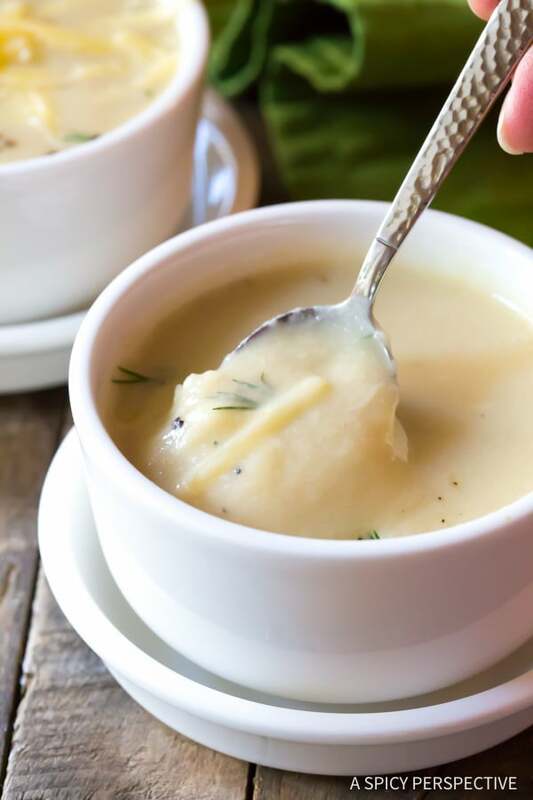 Add a little dill to freshen up the flavor and you have an irresistible Irish Creamy Cauliflower Soup that would make a fabulous addition to your Saint Patrick’s Day menu. 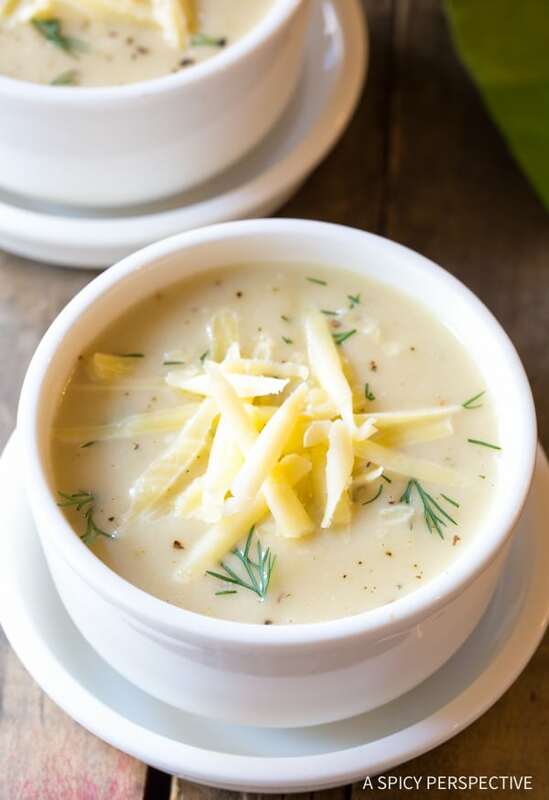 Irish Creamy Cauliflower Soup Recipe - A simple vegetarian soup made with fresh cauliflower, leeks, potato and Irish Dubliner cheese! Prep the vegetables. For the leeks, cut the green tops off. Then cut the white ends in half and wash them thoroughly. (Leeks have a tendency to have sand in the layers.) Chop them into into small pieces. Set a large sauce pot over medium heat. Add the butter, oil, onions, and leeks. Sauté for 3-4 minutes. Then add the cauliflower florets, potatoes, broth, 1/2 teaspoon salt, and 1/4 teaspoon ground pepper. Bring to a boil. Then lower the heat a little and simmer for 20 minutes, or until the cauliflower and potatoes are fork tender. Meanwhile, shred the cheese. Using an immersion blender, puree the soup until very smooth. Then blend in the shredded cheese. Stir in the fresh dill, then taste and salt and pepper as needed. Serve warm. 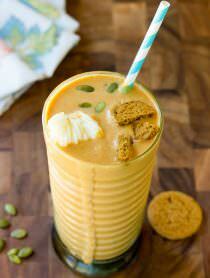 NOTE: Don't have an immersion blender? Puree the soup in a standard blender jar in small batches. Just make sure to open the vent in the lid and cover the lid with a dish towel for safety. Hot soup expands when pureed and can blast out. Be careful! I’m always looking for new and delicious ways to enjoy cauliflower! I love how creamy and rich this soup is!!! This soup looks so rich and creamy! I love it! Cauliflower soup has always been a hit at our house. Can’t wait to make this again. This soup is amazing! Just bought more cauliflower!! Yum! 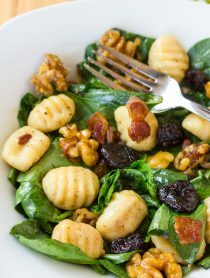 This looks amazing, can’t wait to make it! Delicious. I made it the day before to let the flavors marry. I shredded the cheese ahead but did not put it in until before I heated to serve. Everyone loved the soup. I was afraid the cheese might get congealed-looking, but we had leftovers the next day and the taste and texture were good. I added minced dill and minced chives to each bowl before serving. 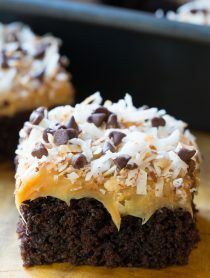 Two thumbs up for this recipe. Sounds like a delicious bowl of soup! The dill in this is so lovely!!! What a great dinner!